While the detection of voluntary signs at the patient’s bedside is considered sufficient to infer that the subject is conscious, their absence does not necessarily imply the absence of conscious perception. Recently, the development of new neuroimaging and electrophysiological active paradigms (where the patient has to mentally perform a task) allowed the detection of signs of consciousness in patients completely unable to move. However, in the case of a negative result, these two methods leave the question of the presence or absence of consciousness unanswered. 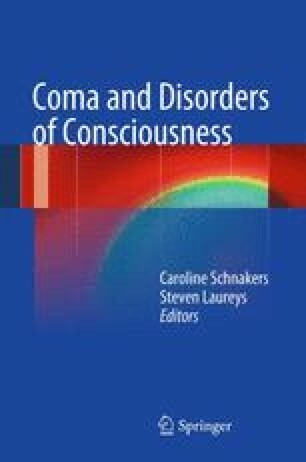 In this chapter, we propose an additional level where consciousness can be studied using a combination of transcranial magnetic stimulation and EEG (TMS-EEG). This technique allows the direct stimulation of assemblies of cortical neurons and has been suggested as an efficient way to appreciate how the thalamocortical system can interact globally (integration) and produce specific responses (information).